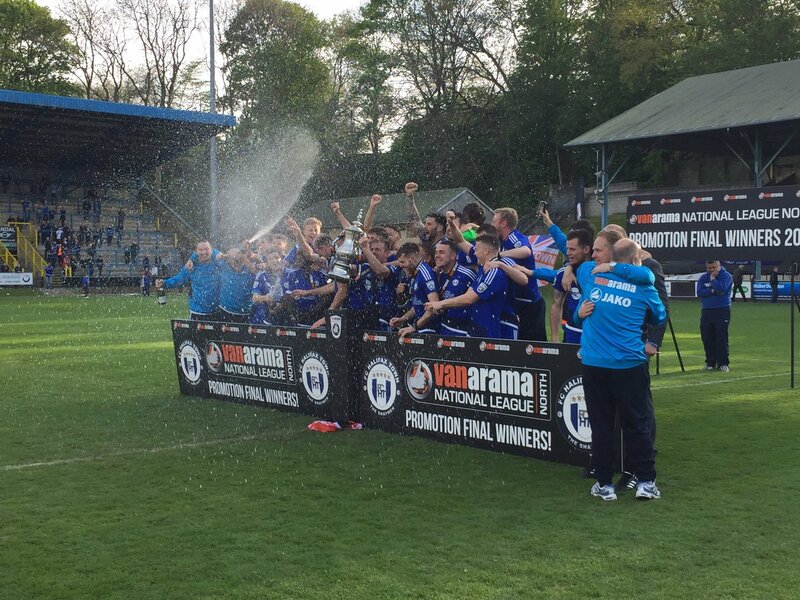 Halifax Town are celebrating promotion to the National League after beating Chorley 2-1 at the Shay. The Shaymen, who were relegated last season, were watched by a record crowd of 8,000. There were jubilant scenes, with supporters invading the pitch, after Halifax won in extra time.